This is a real gem of a book – I wish I’d had it when I was planning my wedding all those years ago! 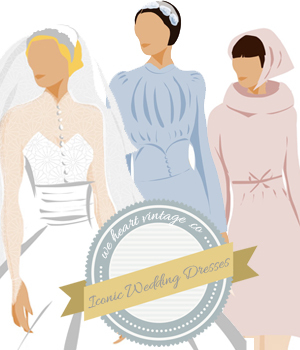 It tells you everything you need to know if you want to plan a vintage themed wedding, including the wedding fashions of each decade illustrated with vintage photos and real-life brides who opted for a wedding themed around that decade and covers every decade from the 1920s to the 1970s. It also tells you how to do your make up and hair to match each decade, as well as how to recreated authentic decor and food. Annabel Beeforth also gives you some great tips for looking for a vintage wedding dress, the pitfalls, the common mistakes and even some great labels to look out for. All in all, it’s everything the wanna-be vintage brides need to make themselves a magical vintage-themed day!